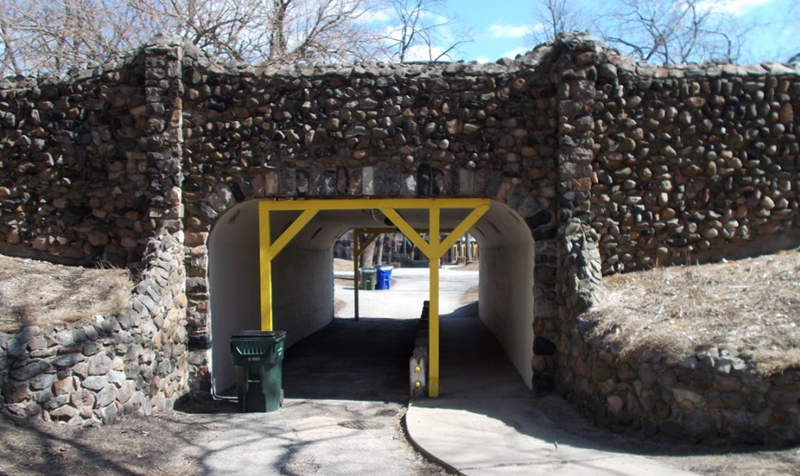 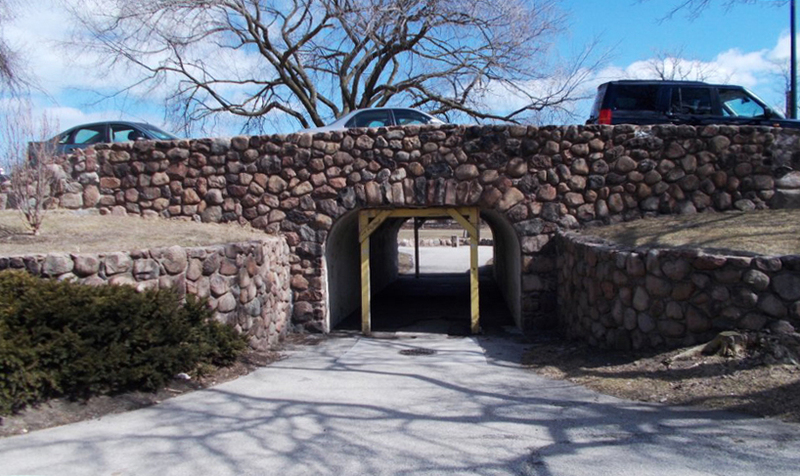 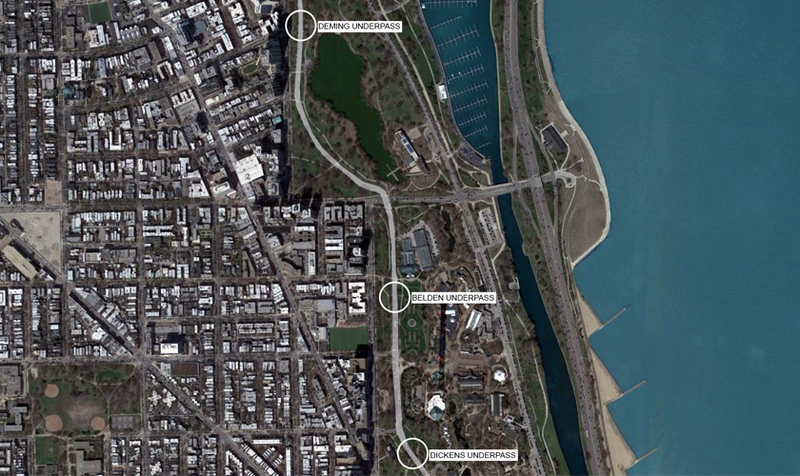 The archway steel supports at three underpasses located along Stockton Drive in Lincoln Park, Chicago were deteriorated and needed to be replaced. 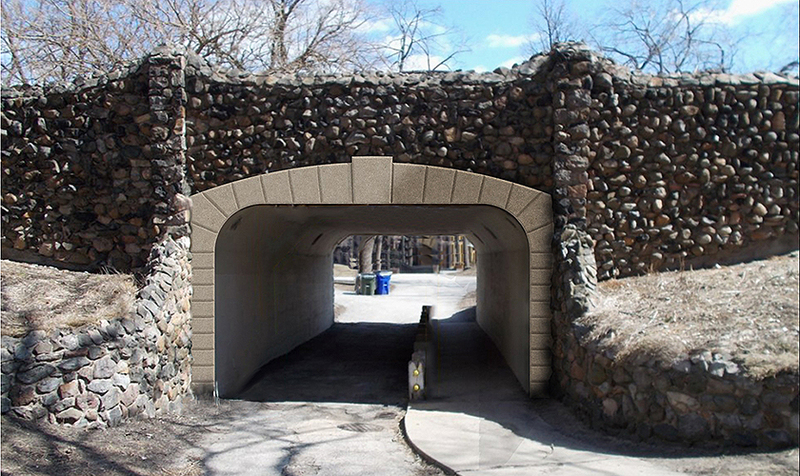 Multiple options were considered to support the random stone veneer. 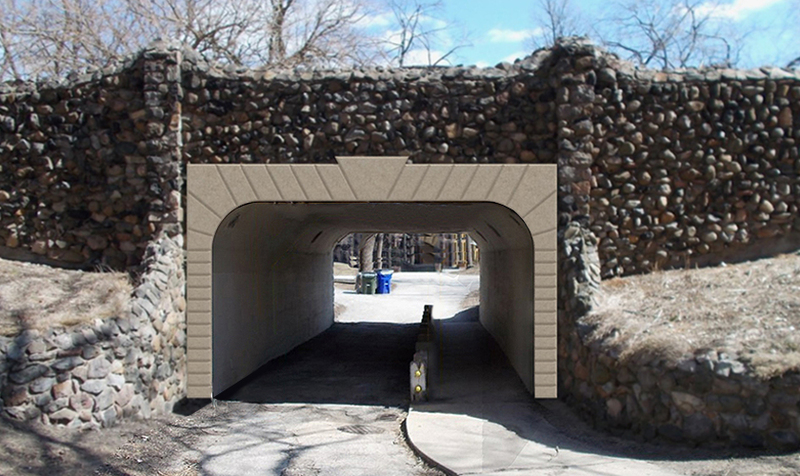 A drainage path behind the wall system was created to prevent future damage. 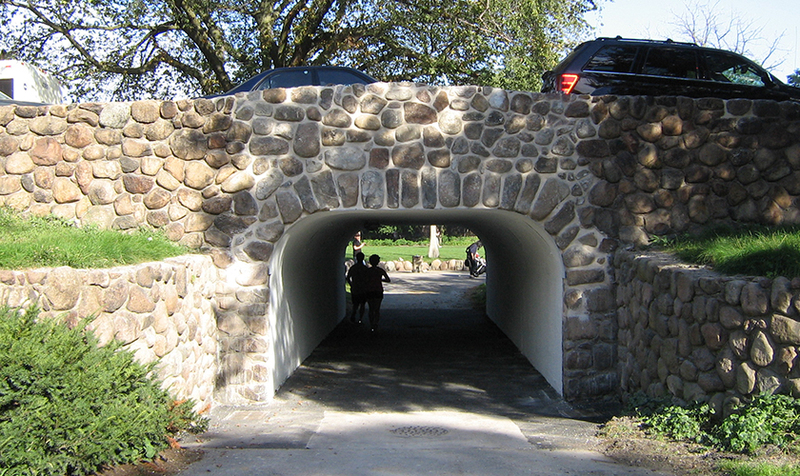 KMI designed new structural supports, which follow the curvature of the portal, remain discrete, and maintain the original design character.